Recently I upgraded my operating system to Windows 7 64-bit from Windows 7 32-bit edition. Everything went fine and all applications and programs were working fine until I encountered a very annoying problem. The thing is that whenever I play any mkv file in VLC player then I would get Blue Screen of Death (BSOD) error after few minutes. It did not happen when I play other files i.e. 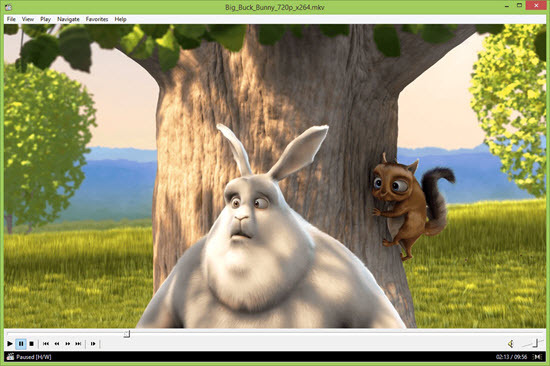 avi, mp4, mpeg etc using the same player. 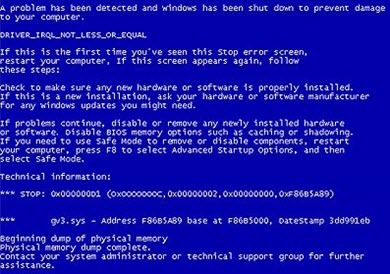 It was so frustrating because whenever I watch any movie in MKV format then I would get BSOD in the middle of anything. I finally managed to fix the issue but it was not easy. So here I am going to tell the various solutions to fix this BSOD error on MKV files for the users who are facing it on their computer. Here are the various solutions that you can try if you are facing BSOD when playing mkv files in Windows 7, Windows 8.1 or Windows 10 Operating Systems. The first thing you should do here is to update your video card or graphics card driver to the latest ones. You can download the display drivers from your video card manufacturer whether it is Intel, Nvidia or AMD. Before updating your display card driver you must completely uninstall the previous drivers and then install the latest version of display drivers on your windows operating system. Check your system for viruses or malware using a good Antivirus and Anti-malware software. Here I would advise you to use ESET NOD32 Antivirus and Malwarebytes Anti-Malware for this. Check whether your Windows System files are intact and not corrupted. You can do this by running the sfc /scannow command at the command prompt. It may be possible that your codec have gone corrupt so here download the latest codecs pack and install it on your computer. Here I recommend you to use K-Lite Codec pack and you can download it from the link given below. Install the latest updates, patches and service pack for your Windows operating system. Check your Hard Disk for bad sectors and RAM for any issues. You can check your hard disk for bad sectors using the chdsk /f /r c: at the command prompt and you can test your RAM for any fault using MemTest86 tool. Change or update your Media Player. If you are using VLC player then I would recommend you to switch to Media Player Classic. This is the solution that worked for me. I was using VLC player earlier and faced BSOD everytime when running MKV files. Then I changed my media player or switch to Media Player Classic (MPC) and after that I did not face any problem when MKV files on my Windows 7 64-bit edition. You can try the above mentioned solutions one by one and see which one works for you as it might be possible that any or combination of the above solutions can work for one user and not for the other. If you have any queries regarding this error then you can ask me by leaving a comment below.